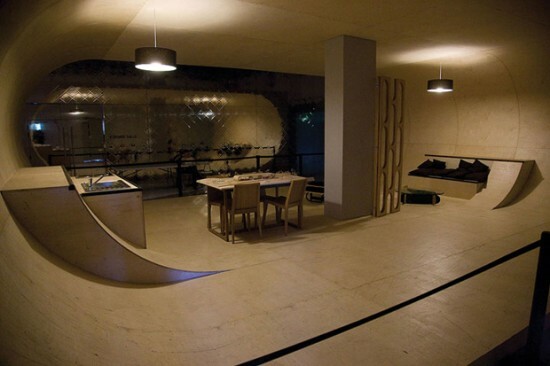 So, in the early 2000′s, Senizergues partnered with etnies designer and fellow skateboarding fanatic Gil Le Bon Delapointe to create a perfectly skateable house on Senizergues’ Malibu property. They came up with a few great ideas, and even managed to build a miniature model of this skateboarder’s dream house, but after 10 years and some run-ins with the Coastal Commission, it was still in the project phase. 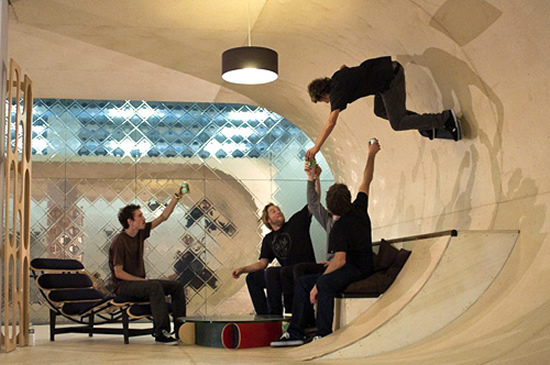 But, La Gaite Museum, in Paris, somehow learned about their original housing idea and presented them with the opportunity of building a prototype for their skate-culture exhibition, running this summer.